Oh, I love Halloween. 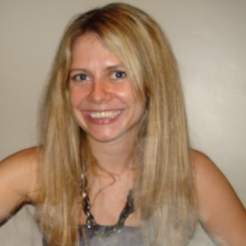 Fall weather, decorating pumpkins, costumes—there is not much I do not like about it! Except, now that I am a parent, I get a bit tired of the excess candy and chocolate. 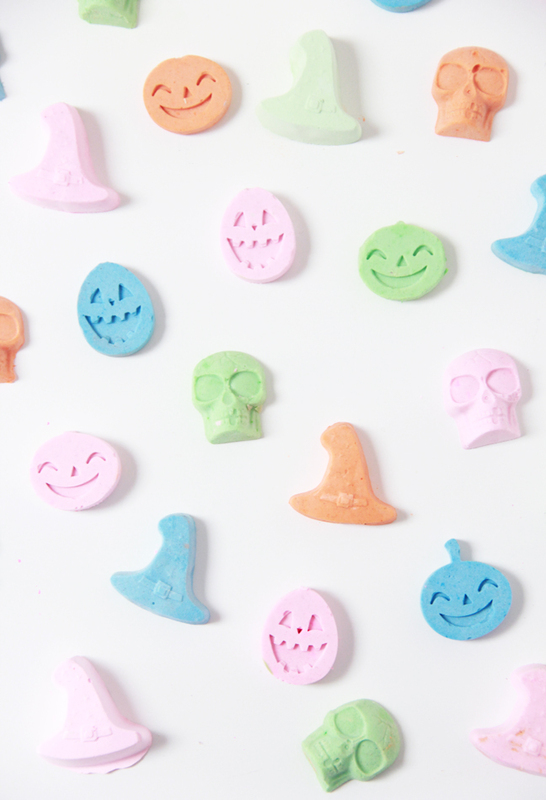 My four-year-old daughter loved making chalk letters, and I thought making Halloween chalk would not only be a fun activity but also a non-candy Halloween treat. I am not anti candy or chocolate, but the kids get so many candy treats from all the Halloween parties, it is nice to make something at home to play with for Halloween and share with friends. 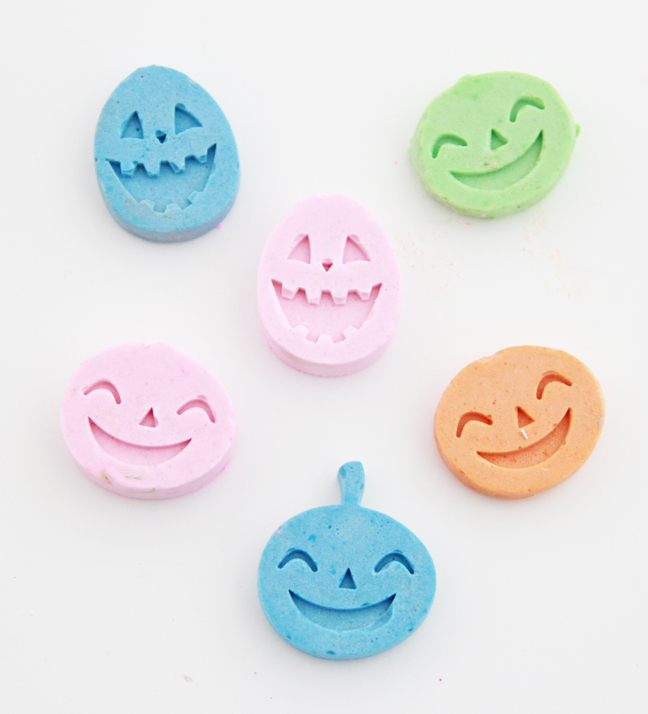 Also, if you need a candy alternative for kids with food allergies- these cute chalk favors will win them over. 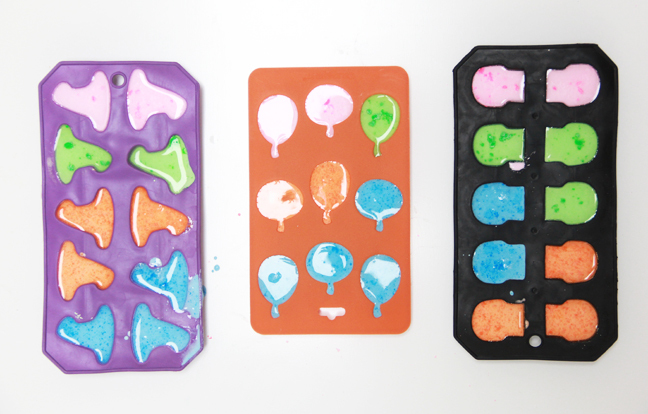 The kids can pretty much make this DIY chalk on their own (with supervision)—the hardest part for them is waiting for the mixture to dry and turn into chalk! 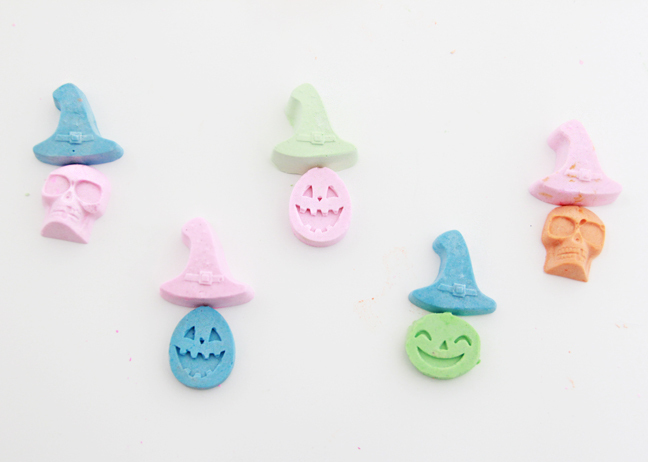 I used ¼ cup plaster of Paris and water, and that made about four chalks per color (it depends on the size of your chosen Halloween silicone molds). The paint amount is up to you; the more paint you use, the bolder the color. 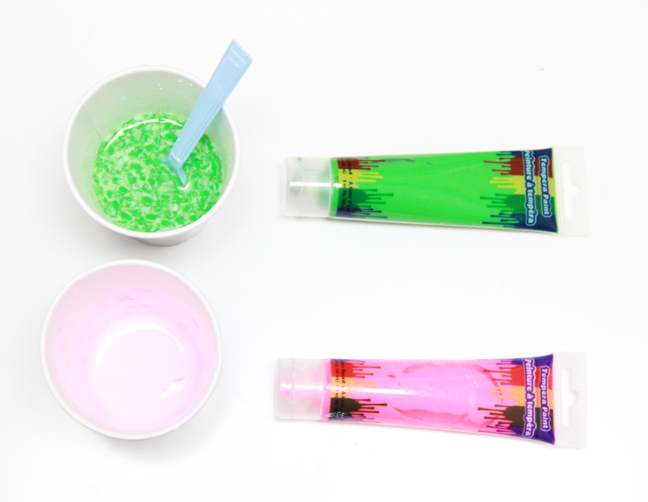 But paint will water the mixture down, so if you use a lot of paint, add another spoonful of plaster of Paris to even it out. 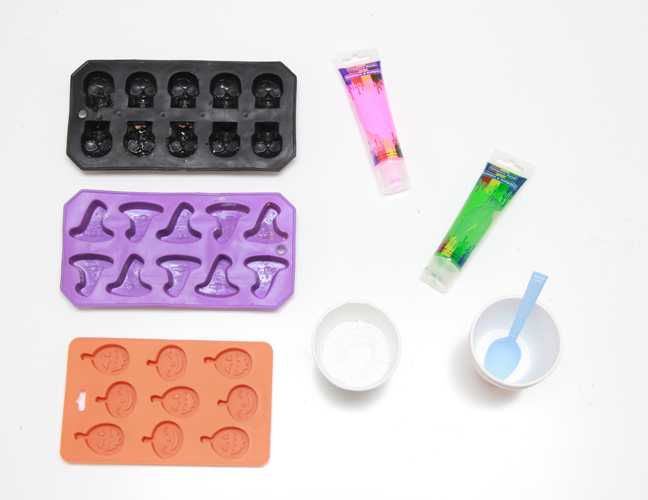 Step 2: Pour mixtures into your silicone mold and wait at least eight hours. If you remove the chalk too early, it will break easily in the mold. You may need to prevent your eager children from poking holes in the chalk with their fingers. 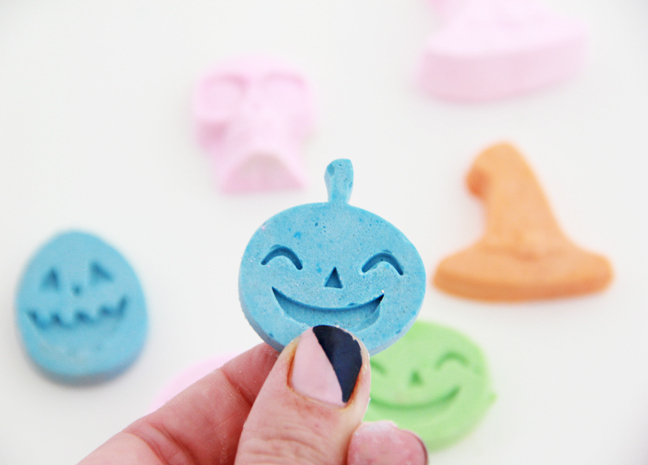 I am a sucker for these smiling pumpkins—they’re so cute! 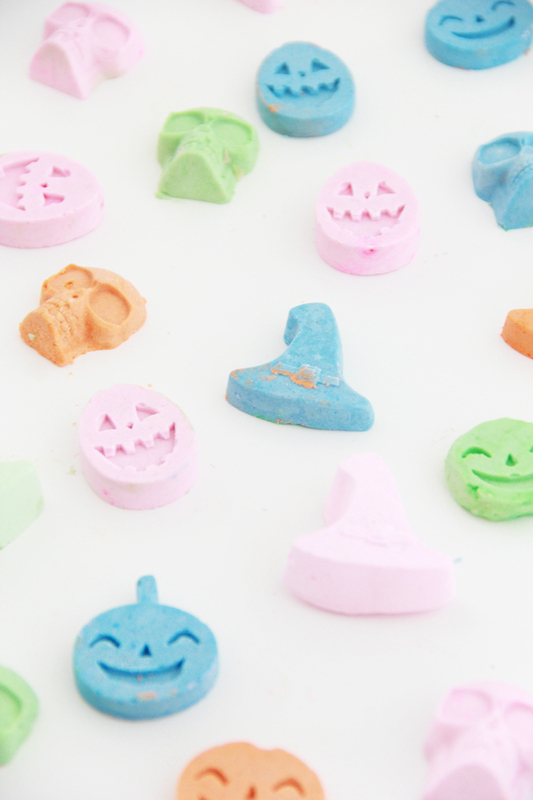 The chalk would make a great addition to a Halloween treat bag or a Halloween party favor! 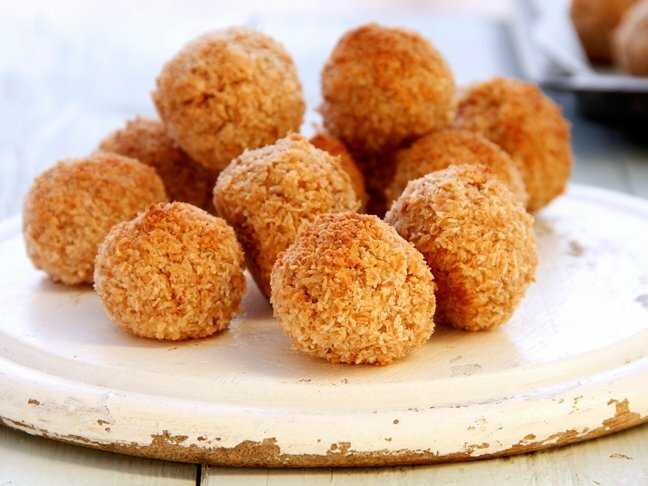 Include it for Halloween school parties for an easy treat and avoid food allergy concerns.